Most of us know that our moods are affected by colors. Warmer colors such as reds, oranges and yellows tend to increase the energy of a space. Cooler hues such as grays, blues, greens and purples create a more relaxed atmosphere. If you want to create a calm, soothing space look at the color of your carpet to lend a hand. Cool colors have been shown to reduce stress and anxiety. They also make a space seem more expansive and open - and a less constricting space can encourage calm feelings. Whether you're looking to design a bedroom retreat or a soothing sun room, here are three excellent carpet colors to consider. It's nearly impossible to talk about carpet colors without talking about gray. Gray is today's neutral and continues to grow in popularity for homeowners. Grays can range from deep charcoal to light smoke and all of them ground your room in a calm color that matches nearly everything. A gray carpet also allows you to play with more color in furnishings, drapes and accessories of the room. Green may seem like a surprising choice on this list but we'd like you to step away from the vibrant emerald or bright jungle green carpet choices (both of which can be very fun in the right space). Soft green carpets with a touch of gray to them act as a neutral base in a room. Even a dusky hunter green can make a room feel cozy and cool. Nothing says nature as much as the color green. If nature is a soothing, calming place for you, then consider a cool green carpet to enhance your space. See more carpet trends on our Houzz profile. This color option skews a bit more feminine than the other two. A lavender carpet or purple with a touch of gray makes a beautiful design statement while also adding that cool, calm touch to the room you're seeking. If you're worried that a solid lavender carpet may be too much, consider patterned carpets that have flecks of color in them or a design that uses lavender as an accent. 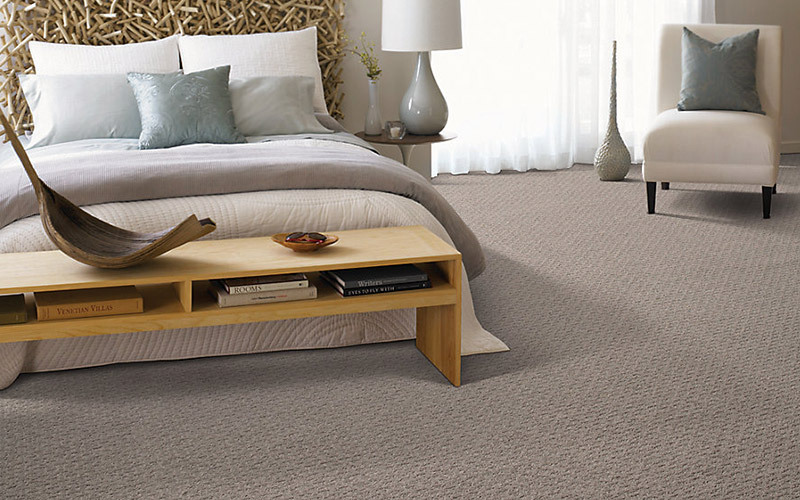 Choosing the right color carpet for your room can be challenging! Turn to the design experts at Kermans Flooring to help. We offer free consultations with flooring designers - many of whom have a background in interior design. It's all part of what we like to call the Kermans Advantage. Bring your carpet challenge to Kermans and we'll help you find the perfect style and color for your home, lifestyle and budget.